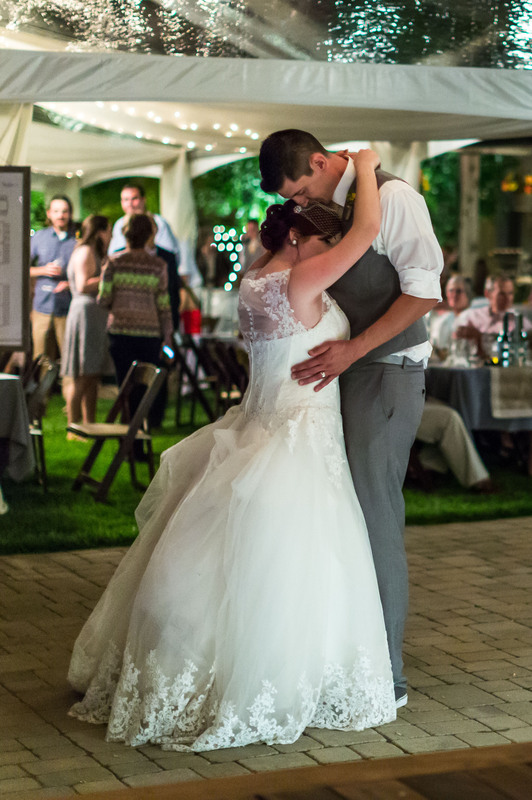 Lorin and Tony exchanged vows at her parent’s two acre backyard in Auburn, California. 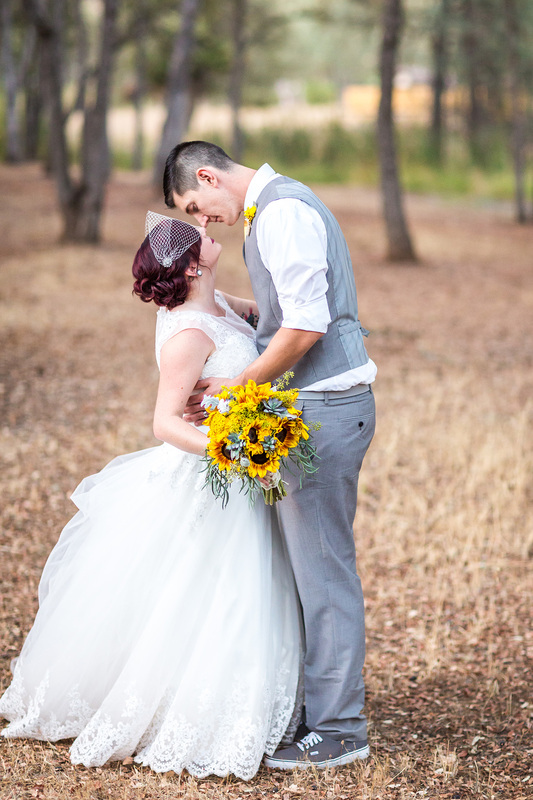 The ceremony took place in October, during their favorite month and reflected the fall theme featuring steel grey, her husband’s favorite color, as well as cream, yellow and a splash of orange from pumpkins used for the wedding color palette. 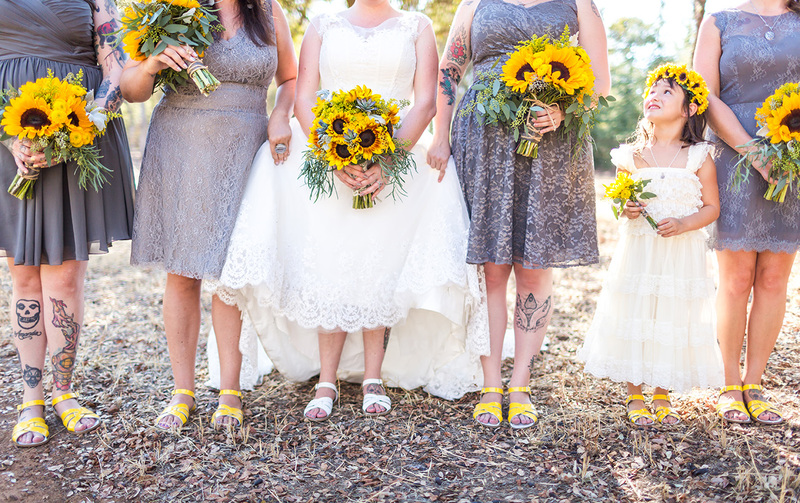 Their wedding featured not only Azazie bridesmaids dresses for their vintage theme, but also Azazie goldenrod skinny ties, kids bow tie and matching MOTB dress while Lorin walked down the aisle in our (retired) Nora wedding dress! All photos were taken by Ben Sheriff Photography. Q: Where did you pick to have your wedding? Q: What’s the story behind your wedding colors? Q: How was the wedding planning process? 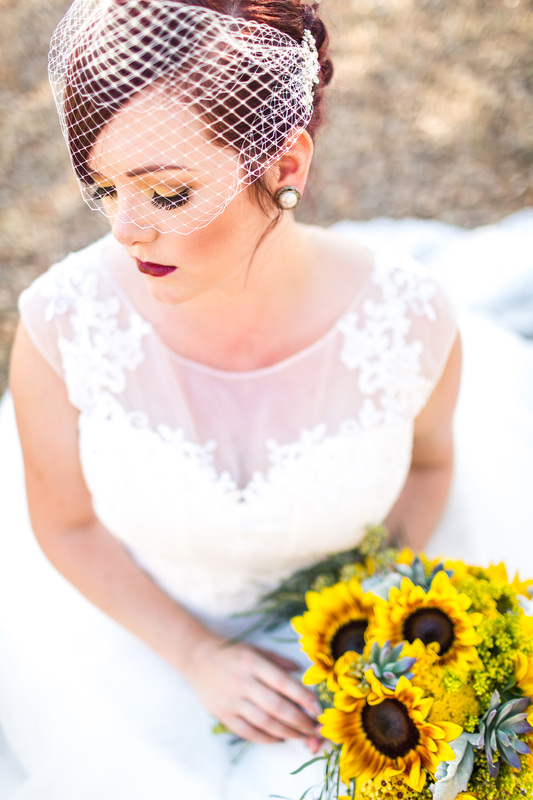 Q: What was the process of ordering your wedding dress at Azazie? Q: Any last piece of advice for brides-to-be?